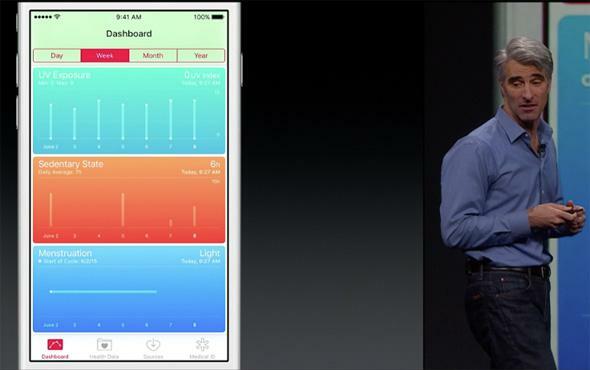 Apple finally adds reproductive health tracking in HealthKit. When Apple released its Health app in September 2014, something was conspicuously missing: It didn’t include functionality for tracking menstruation or fertility. It was a problematic oversight, but it’s the type of thing companies correct quickly, right? Haha, nope. When Apple updated the Health app in March, it was still period-free. There aren’t any other details yet about what exactly the addition of a “reproductive health” category will mean, and no one said the words “period” or “menstruation” out loud on stage. Recognizing a standard component of health and health monitoring for a pretty important (!) demographic group is apparently a learning process for Apple.